Tres Lagos is a remarkable new master-planned community with an amazing vision for the future and a commitment to preserving the best qualities of traditional hometown neighborhoods. 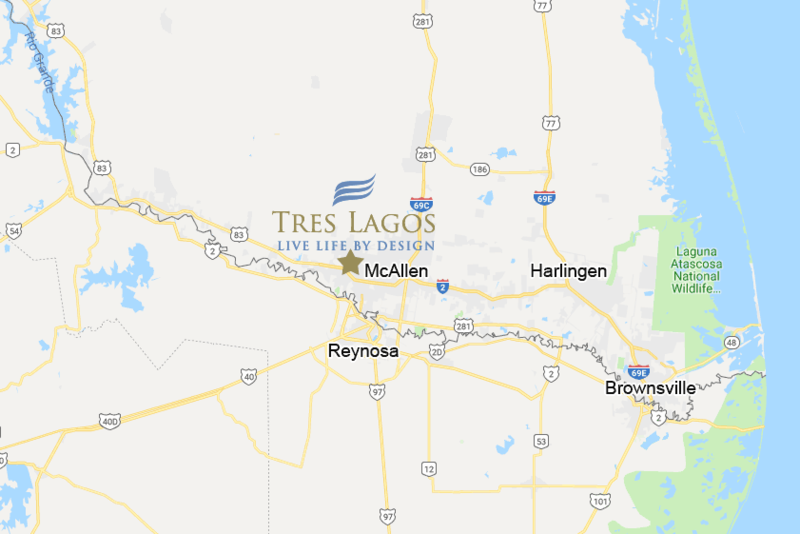 With advanced technology that creates a state-of-the-art living experience, Tres Lagos is the most innovative and secure community in the Rio Grande Valley. Located in north McAllen, TX, this 2,571 acre master-planned community includes single-family homes, multi-family homes, commercial and retail space, health care facilities, top rated IDEA schools, Texas A&M University and churches. And with the creation of over 6,000 new jobs, you can even walk to work.